It seems food is a frequent topic of discussion and thought, no matter where we are in the world. This is especially true when you’re on vacation and have the ample opportunity to try out all kinds of new eateries and foods you likely wouldn’t be able to find anywhere else. Whether you’re entertaining fine company or are treating yourself to a five-star vacation, you won’t want to risk missing out on these fine restaurants nestled in the heart of Las Vegas. Consider taking a lunch break at one of these places during your visit to Vegas! While this restaurant is one of the more inconspicuous looking places on our list, its menu packs tons of flavor! Raku is the ideal spot for anyone who enjoys sushi or general Japanese cuisine. Mitsuo Endo, Raku’s owner and executive chef, hails from Tokyo and created the restaurant to bring his unique spin on Japanese food to the Vegas strip. If you go to Raku, you may have the opportunity to run into various other chefs who’ve made a name for themselves in Vegas. Best of all, this restaurant is one of the top places to go for those who enjoy a late night out on the town! Raku closes at 3 AM. If you’re in the mood for excellent steak, CUT will be more your speed. The restaurant is known for its prime preparation of their tender cuts, which involves dry aging the meat. This process can take up to several weeks at a time, but the results are well worth it. You won’t find a more flavorful steak anywhere else on the Las Vegas strip; in fact, it may just turn you off having steak anywhere else in the country! You’ll find a wealth of other dining options at CUT if you’re up for something savory and delectable but aren’t quite in the mood for steak. CUT is the perfect end to a day of travel in limousines in Las Vegas. Imagine stepping out of your Las Vegas limousine and into a uniquely named eatery on the strip. On the inside, you find a harmony of bright colors all around you, draping from the ceilings and rolling out along the floors and even decorating the food you eat. This is the case for anyone visiting Le Cirque, which means “the circus” in French. With its colorful interior and gourmet French menu, we guarantee Le Cirque will be one place you will never forget. The food matches the interior because it is delightfully and creatively presented through a careful and effective understanding of color and aesthetics. If you’re looking for some of the strip’s most remarkable places as you take advantage of our Las Vegas limo services, you’ll definitely want to give Le Cirque a shot! While these are some top-notch ways to have fun in Vegas, this isn’t all you can do. 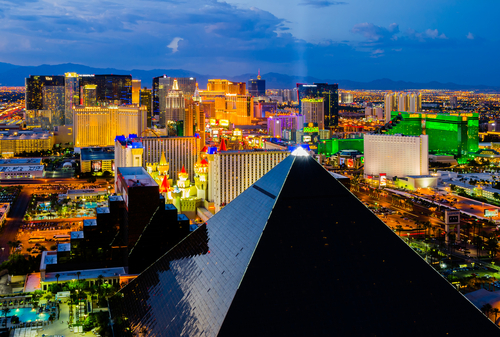 Contact us to learn about the many other ways VIPs can enjoy and experience Las Vegas to the fullest! When it comes to paying the city of Las Vegas a visit, there are many more steps to planning than simply booking your flight and transportation arrangements. You’ll also have to worry about where you’re going to stay! 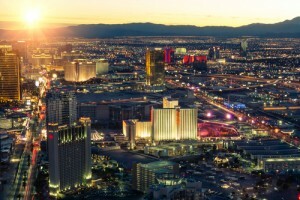 While there are a vast number of options at your disposal, such as the ever popular AirBNB, you shouldn’t count out the wide array of resort hotels available on the Las Vegas strip. 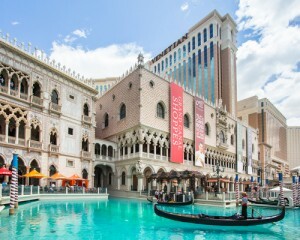 They are the best way to enjoy your Las Vegas trip by lying in the lap of luxury. You don’t want to book a VIP Las Vegas limo and spend your nights at just any old hotel, after all! Don’t believe us? Here is a list of reasons that may just persuade you. There’s a Whole Host of Things to Do! Think about it: if you were to book a room at a regular hotel or an AirBNB property, what would there be for you to do on those days where you don’t feel up to adventuring? For the most part, you’d just be lying around and watching television. These are both things you can easily do in the comfort of your own home. If you’re going to take the time to vacation somewhere new, you want to make the absolute most of it! Should you stay at a resort, you’ll have access to all sorts of activities, from live music to athletic events to parties hosted on the resort grounds. You’ll even have the option to take a few classes on site at the hotel. Anything you could want to do is merely a short walk away! On those days where you are up for exploring, finding things to do will be just as easy! Simply use your Las Vegas car service to head to nearby spots, which generally are situated quite close to your resort hotel of choice. Resort hotels are prepared to meet your needs, whether they’re financial or family-based. Are you looking to take a romantic outing but need someone to care for your children? Many resorts offer activities for your children to take part in that will last the whole day, allowing you and your spouse time to yourselves. Additionally, everything you could ever want or need is just a few footsteps away. Resorts frequently come packed with amenities, including on-site restaurants, gyms and much more. You’ll even have access to spa facilities for that extra bit of relaxation! You won’t even have to worry about finances because you have the option to pay for all of your accommodation expenses there on the spot. This frees you to simply enjoy yourself! But don’t get too comfortable; it will still be worth your while to get out and explore the city. Be sure to get some fresh air with our limousines in Las Vegas! While you want to stay in a luxurious location, you don’t want to spend all your time there! 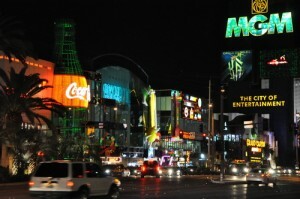 Contact us to learn about some other great things to do while you’re in Vegas! Consider these elements when booking your Las Vegas limo tour. If you’re thinking of a Las Vegas limo tour, you may be wondering about the types of things you want to see. However, have you really considered what goes into booking these limos and tour buses in Las Vegas? Below you will find several things you should think about before making your final decision to ensure you have the best time possible and aren’t left stranded. One of the most important factors you need to look at when you consider a Las Vegas limousine service is what is included in the touring package you want. How many people can the package accommodate in relation to the number of people in your group? Are drinks included in the price or are they extra? How many stops can we make? Which stops are available? If you can’t readily find the answer to these questions on the provider website, give them a call to ask. A Las Vegas limo tour should have specific licensing in order to operate in the state, as well as within the city limits. You should also find out more about the qualifications of their drivers. It’s important to choose Las Vegas limousine services that do complete background checks on their chauffeurs and ensure they all have pristine driving records and are properly licensed to drive this particular type of vehicle. This will ensure you have a safe ride and get where you need to go. Sometimes it’s acceptable to work with a company where you don’t talk to an employee throughout the entire process. 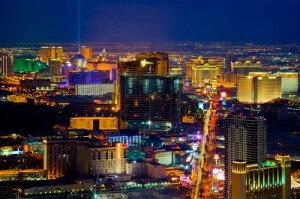 However, when it comes to tour buses in Las Vegas, easy, open communication is a necessity. Even after you make your reservation, it’s important to be able to contact someone to verify your pick up times and more. If you hire a company that is difficult to get a hold of, you could find yourself without a ride when you need it most. A Las Vegas limo tour can be a great way to see the sights of the city without having to worry about driving yourself around and deal with the traffic common in Las Vegas. However, before you start working with just any company, it’s important to make sure you choose one that has the right licensing and good communication so you will enjoy your experience. If you’re looking for a quality Las Vegas limousine service, contact us. We will make sure you are escorted where you need to go by professional, licensed drivers in well-maintained vehicles.